Manchester United boss Jose Mourinho has been reportedly informed by the club’s Executive Vice chairman Ed Woodward to expect a fourth summer signing as Toby Alderweireld leads the race in possible signings. During this summer transfer, United have successfully made the signings of Diogo Dalot, Fred and Lee Grant to the club and Mourinho is said to be ardent in adding two more signing before the transfer deadline on Thursday. Meanwhile, Mourinho’s top preference Harry Maguire is unattainable and the Portuguese coach is left with the option of Alderweireld as the next target. 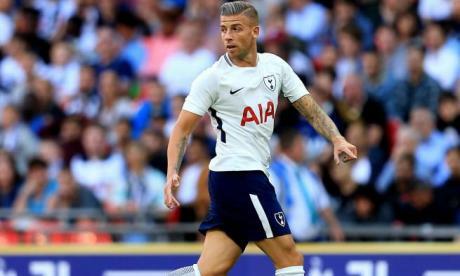 Belgian international Toby Alderweireld appears set to leave Tottenham Hotspur after he hasn’t find favour under coach Mauricio Pochettino. Reports from Goal.com claims Manchester United and Tottenham’s negotiation have materialised as an agreement of principle has been made given that Tottenham finds a fitting replacement. Following the defeat United recorded over the weekend with a 1-0 loss to Bayern Munich, Mourinho has once again reminded Woodward of his request for the additional players to the club stating that other big clubs with fantastic squads are investing massively in the buying of players, stressing that Liverpool are buying “everything and everybody”. However, the Red Devils are running out of time with the transfer deadline fast approaching but with the intervention of Woodward, they can still meet up while Mourinho prepares his squad ahead of Friday match against Leicester City.